The West Bengal unit of the Bharatiya Janata Party has decided to change tack. Abandoning its rhetoric, the BJP is set to organise a convention to highlight the deplorable condition of Muslims in the state in the first week of April, in order to gain the community's support. A section of senior BJP leaders want to 'expose' Chief Minister Mamata Banerjee's 'tall claims', and show that the Trinamool Congress government has failed to provide socio-economic development for the upliftment of Muslims in the state in nearly six years in power. But Mamata is not the only one the BJP is targeting – it also wants to attack the CPI(M) for the 34 years it was in power. 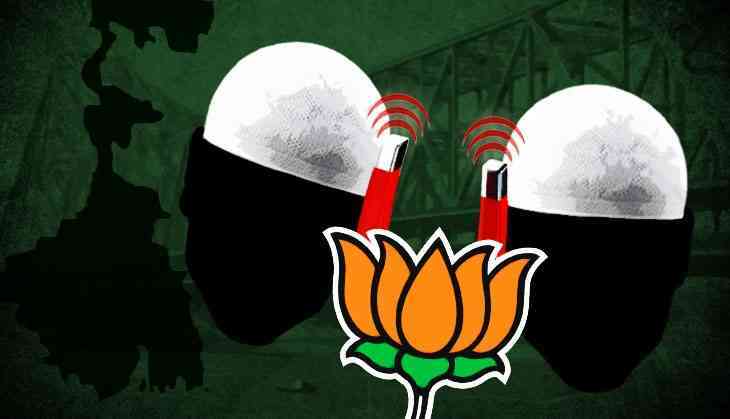 The state BJP alleges that both the Trinamool and Left Front governments played communal politics and appeased Muslims to grab their votes, but didn't do anything for the community's overall development. According to Ghosh, Muslim leaders from other states will also be invited to the convention, as will all Muslim bodies in the state. Senior BJP leaders added that before the panchayat elections scheduled in 2018, the BJP's main aim was to garner mass support by highlighting the mistakes of the state government. However, the Trinamool Congress is refusing to give too much importance to the BJP's efforts. It is confident that the state government has worked for the overall development of Muslims, through schemes like scholarships for the minority communities and also providing land to Imams. According to Chatterjee, the state government has been praised by the National Minorities Commission in 2016 for actions taken for the socio-economic development of the minorities in the state.